Moon Breakers is a new native client game launched last week for Google Chrome. The game features stunning 3D graphics and multiplayer gameplay. 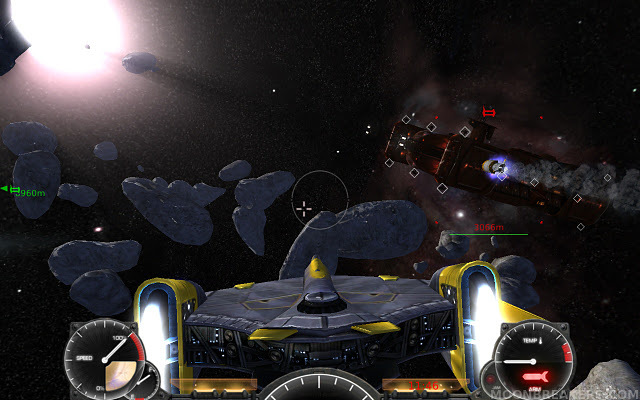 In Moon Breakers you play as either a Government or Pirate pilot in single-seat starfighters and engage in epic dogfights in and around the remains of Helium-3 mining operations. If you get 'Missing Plugin' and other graphic card/driver related errors, then read our guide on enabling native client on Linux from here.